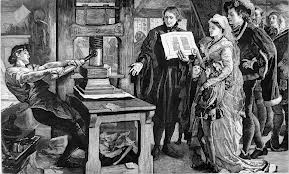 Let’s begin at the risk of being trite—modern copyright began with the invention of the printing press and the ability to make multiple copies of a single work. Sometimes, however, we forget that mere mass production of content was not enough to transform the book into a commercial proposition. In addition to production, the book had to be distributed in some manner. 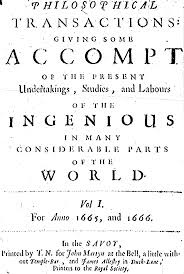 Without effective distribution, the printing press and its aftermath would have been of little commercial importance. It is popularly observed that the digital online environment has brought together production (or at least reproduction of content) with distribution, whereby content can be reproduced and then digitally distributed in a seamlessly connected manner. While this is of course true, there is an element of over-simplicity in viewing digital online distribution in such a stripped down fashion. The reality is often more nuanced, as evidenced in two recent news items, the first about distributing science research contents and the second about the commencement of the sale of Kindle readers in Brazil. Let’s look at each in greater detail. “The way scientific journals are run” was the focus of an article, entitled “What’s wrong with Science”, that appeared in the December 14, 2013 issue of The Economist, here. The gist of the piece is that Professor Randy Schekman, of the University of California, Berkeley, and a co-winner of the 2013 Nobel Prize in Medicine, here, has announced that he will henceforth “boycott” what he terms “luxury journals”, such as Cell, Nature and Science. Sheckman’s dissatisfaction with these journals is two-fold. First, he claims that they ‘artificially” limit the number of papers that they accept for publication in order to stoke demand by creating false scarcity, à la “limited-edition handbags”. In so doing, this false scarcity serves the interests of the journals by enhancing journal subscriptions, but at the social cost of not necessarily publishing the best current research. Second, these journals help distort the enterprise of science by perpetuating the “tyranny of the ‘impact factor’ ”, which is a value that purports to show how “important” a given journal is (emphasizing “hype and faddishness”, and rewarding “who is first” rather than “who is thorough”). It has to be noted that Schekman also edits eLife, here, an open-access journal (which means inter alia that readers are not charged) that seeks to compete with the glitzy likes of Cell, Nature and Science. The eLife journal is being supported by a number of established science charities. The premise of the journal is that scarcity of publication space is no longer limited by the number of pages in a physical copy. Freed from commercial distortions, it is claimed, eLife can better serve the scientific community by making available more quality research papers. The second item appeared on February 7, 2014, on Reuters.com. Entitled “Amazon tests Brazil’s retail jungle with its Kindle”, here, the article describes how Amazon has begun to sell Kindle e-readers online. Note carefully, we are not speaking about the contents of the Kindle e-reader, which continue to be delivered digitally online, nor bricks and mortar stores, where a customer can purchase a Kindle reader. Rather, what Amazon seeks to do is take online orders for the sale and distribution of the device itself. This means that Amazon must find a way of delivering the e-reader to customers throughout the vast territory of Brazil, 200 million residents strong. Interestingly, shipment of the Kindle will be free and customers will be able to pay off the e-reader in up to 12 instalment payments (though the mark-up, if any, in paying for the device on an instalment basis was not specified). In so doing, Amazon is taking head-on the challenges posed by the well-known logistical and transportation problems in Brazil, not to mention high labour costs and rigid labour law provisions as well as an oppressive tax regime. Indeed, unlike in the U.S., where Amazon relies on its own distribution network and warehouses, in Brazil, Amazon will rely on distribution of Kindle devices through what are described as “external partners”. No further details were provided about the identity of these external partners. So what do we make of these items? As for Professor Schekman and the eLife journal, we see an attempt to break the alleged privileged position of the elite science journals and the false scarcity that they allegedly create in publishing science research, while at the same time “democratizing” the distribution of worthy scientific research. Lurking behind this effort, however, is really a tale of trade marks and goodwill. The “impact factor” is both a cause and result of the goodwill enjoyed by the elite commercial journals. The challenge of Schekman and his associates is to neutralize the goodwill enjoyed by these journals, or at least to create sufficient goodwill in the eLife journal so that it can effectively compete. Aiding this effort is the reputation that Schekman enjoys by virtue of his Nobel Prize award. Seen in this light, what appears to be a matter of finding a better way to distribute the contents of scientific research becomes a battle over establishing viable goodwill in the online publishing project. 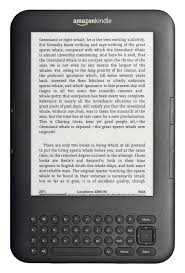 As for the sale of the Kindle online in Brazil, the focus is not directly on the distribution of the contents per se, but the distribution of the device necessary to read online content that is accessed and stored on the e-reader. The centrality of the device in the distribution of literary content can be seen, in some sense, as an extension of the home computer (and later the laptop and the tablet). However, none of these devices, being general purpose computer machines of various kinds, is solely dedicated to accessing stored literary contents. Moreover, the special challenge of distributing content digitally is joined with the long-standing problem of physically distributing the e-reader to far-flung customers Seen in this way, Kindle’s initiative in Brazil constitutes a new form of distribution of content, reaching back to the dawn of the age of the printing press and the challenge then, and now, of how to get this content into the hands of readers.